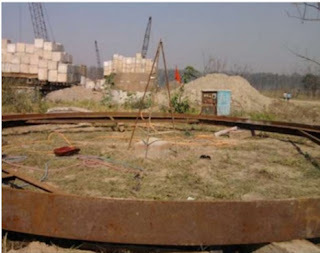 It is the most common type of foundation in India for both road & railway bridges. Such foundation can be sunk to great depths and can carry very heavy vertical and lateral loads. Well foundations can also be installed in a boulder stratum. It is relatively rigid in its structural behavior. It is lowermost part of well. It is the part which cuts through the earth. The mild steel cutting edge shall be made from structural steel sections. It is structure with outer wall of curb being straight and inner at appropriate angle which is fabricated over cutting edge. The well curb supports the steining. The curb should be slightly projected from the steining to reduce the skin friction during sinking of well .That's why thickness of well curb is kept 75 mm more than that of steining to prevent tilts. It is made of RCC with steel cutting edge. The inner portion of the steining should have a slope of 2:1 (V:H). It is longest part of well and it transfer load from well cap to the well curb. Steining is built in lifts of 2.15 m. It is designed such that it cam sunk under its own weight. The thickness should be sufficient so as to overcome skin friction developed during sinking by its own weight. It transmits load to soil below. 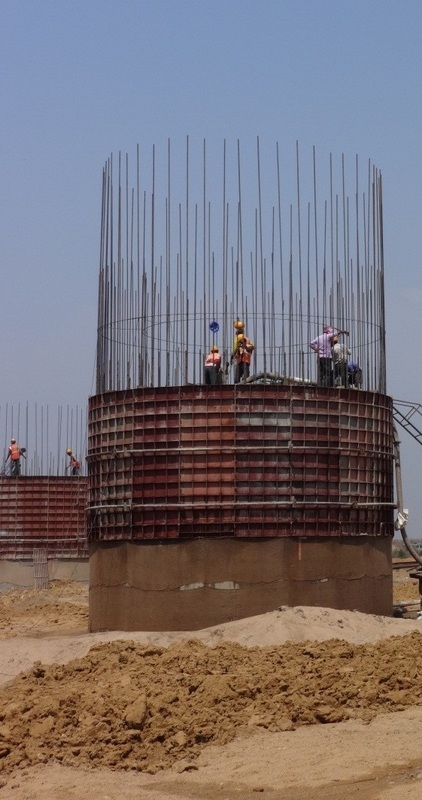 When sunk to its final depth bottom part is concreted to seal the bottom completely. 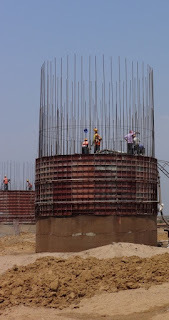 The concreting should be done in one continuous operation. 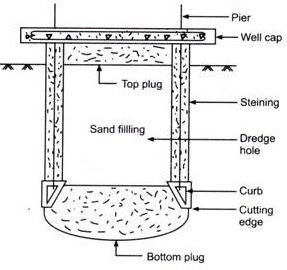 After concreting the bottom plug the sand is filled above the bottom plug and below top plug. 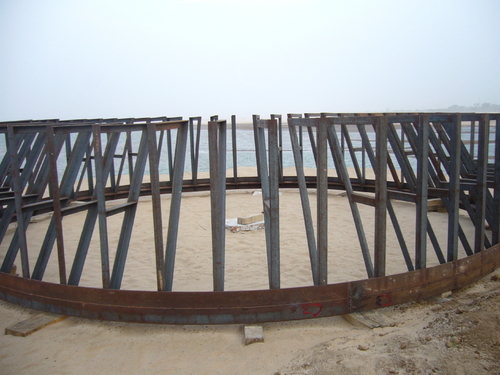 Sand filling provide stability of well, reduce tensile stress produced by bending moment and distributes the load of super structure on to the bottom plug. This is a plug at the top of the well below the well cap. The well cap is RCC slab of sufficient strength to transmit the forces from pier to the body of well. it is generally kept at low water level. 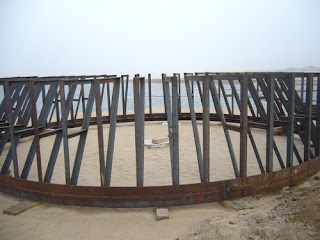 The dimension of the well cap should be sufficient to accommodate pier.